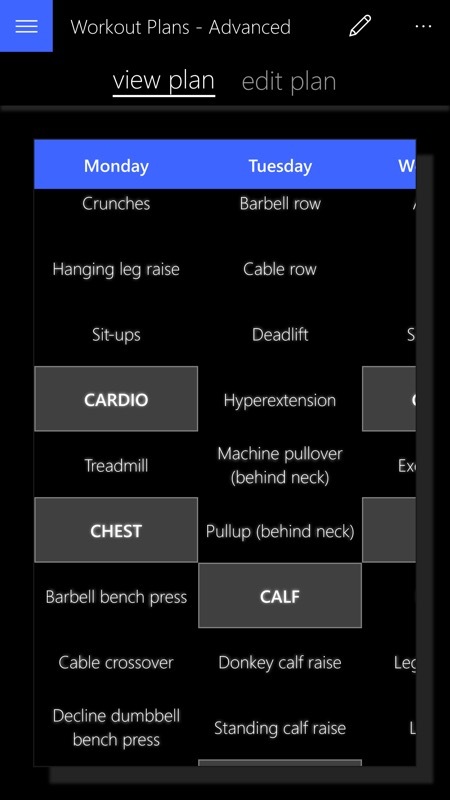 The Windows phone world isn't short of applications to help with fitness - and here's another, a UWP version for all Windows 10 implementations that follows on from an established Windows Phone 8.1 app. 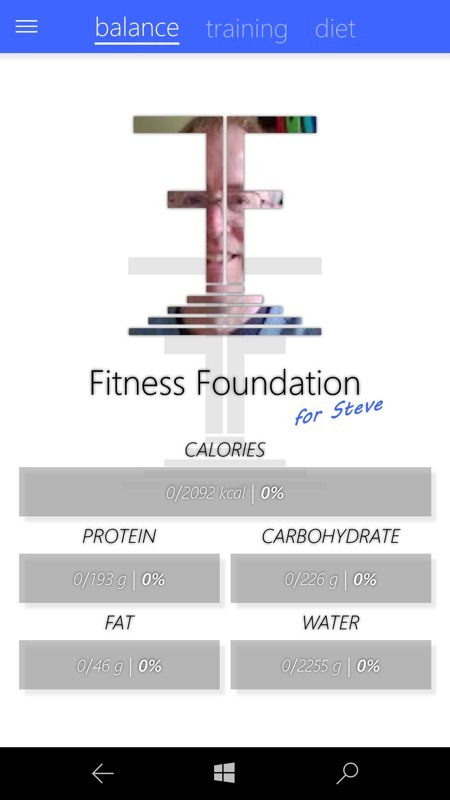 Fitness Foundation won't tell you how to get fit or to eat healthily, but it will help you log everything in excruciating detail. Which will, for the serious fitness fanatic, ultimately help you stay on the straight and narrow, monitoring progress. Fitness Foundation is your best choice if you're looking for the answer or if you have found it already, but need a companion in achieving your goals. Track your progress in the gym with unlimited exercises, measurements and workouts. 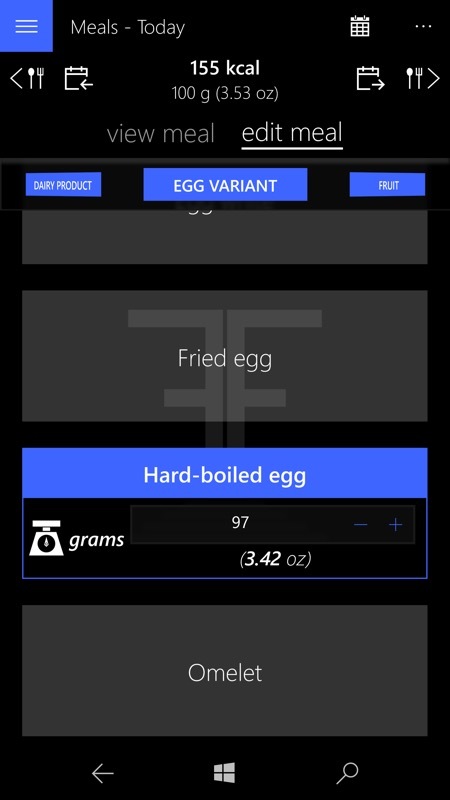 Know your calorie and macronutrient intake by automatically calculated values based on what you consumed during the day. Create workout plans and daily intake goals to fully realize the magnificent fitness lifestyle. We hope this application will help those seeking a healthier life all around the world, while showing the path to true happiness. Because in our opinion this is what fitness is all about. 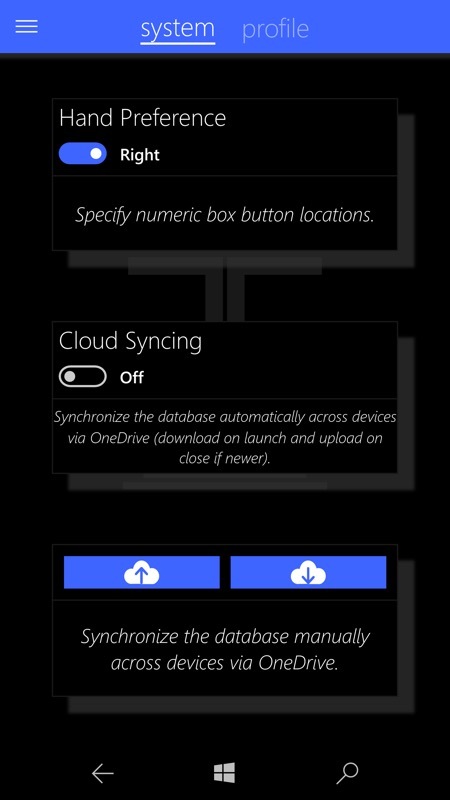 import the database from the previous version of the application (Windows Phone 7-8.1) and much more! Slightly spookily, the app pulls my first name from the Windows APIs to customise the home screen! (right) The hamburger menu is in familiar format, though custom drawn in a pretty font and with graphics included - quite effective, actually. Happily, there's an option for a dark theme in Settings, so that's applied from here on. Note the small UI details like handedness here. 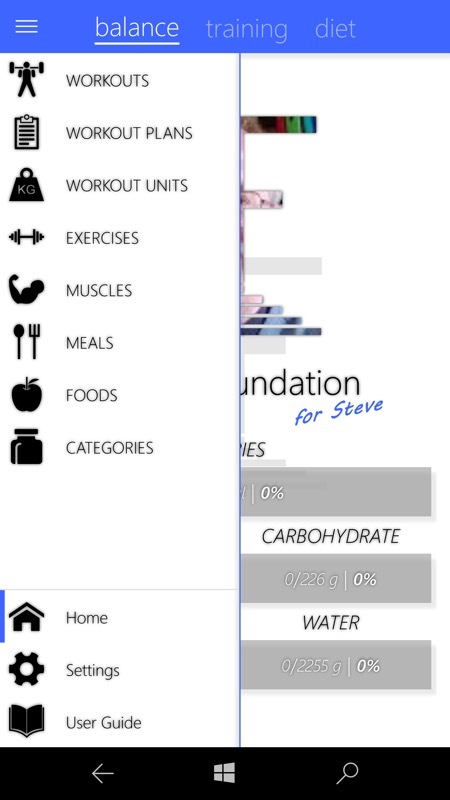 Plus optional OneDrive syncing of your data to Fitness Foundation on another Windows 10 device; (right) building and viewing a workout - I think the idea is that you do it all in advance and then stick to it or tweak it as necessary. 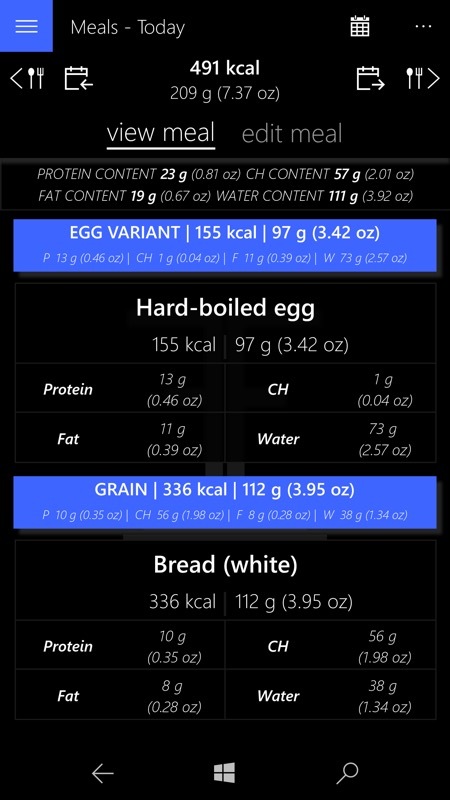 The same view/edit two pane idea is used when tracking your food intake. I have to say that for me such detail is way over the top - logging every single thing I eat would be too laborious for words. But I recognise that serious body builders would want to match up calories, protein and fat to their optimum values for their workouts and targets. So each to his or her own! 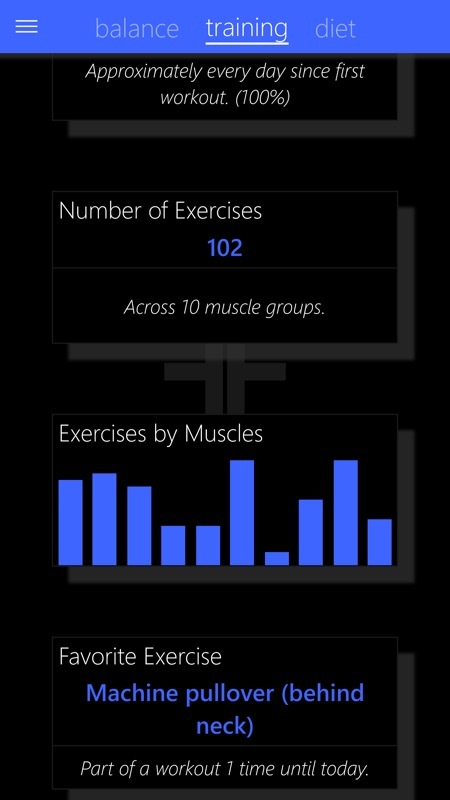 There's a neat scrollable workout plan for the week, though this was slow to render on my test Lumia, so your mileage may vary; (right) there are a range of summary views, exploring how you're getting on and which muscle groups you're hammering, etc. You can grab it here in the Store, it's a free download.